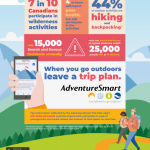 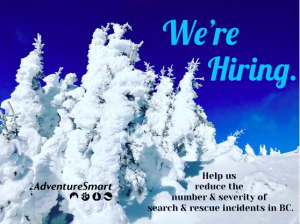 AdventureSmart is a national outreach program, which started in BC 15 years ago, focusing on outdoor safety education designed to promote personal preparedness, encourage safe outdoor activities while concentrating on search & rescue prevention. 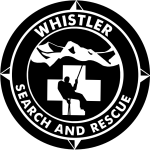 BC has over 1,700 search and rescue incidents annually with 80 SAR groups consisting of 2,500 volunteer responding to those calls. 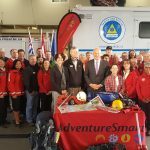 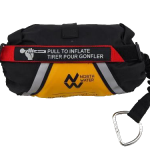 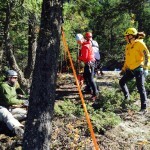 BC AdventureSmart increases awareness to help reduce the number and severity of those incidents. 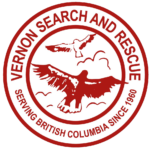 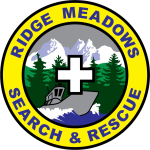 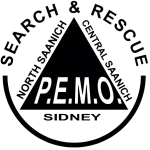 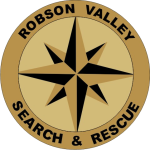 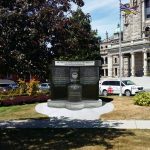 Outreach teams will be working closely with the BC Search and Rescue Association, the 80 SAR groups and 2500 volunteer members increasing awareness to help reduce the number and severity of incidents in the province. 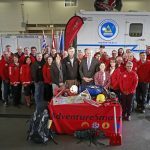 One 2 member Team will work out of Burnaby and the second Team will be based in Kelowna. 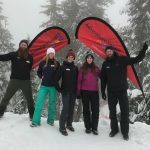 Teams travel throughout the province providing educational sessions at schools, corporate retreats, ski hills and community events, in addition to increasing awareness through traditional and social media streams. 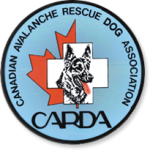 These sessions consist of packaged programs such as the ‘Snow Safety Education Program’ and the ‘Survive Outside Program’. 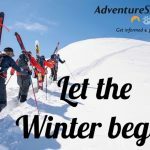 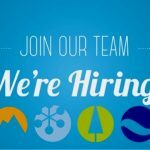 Forward resume & cover letter, addressed to the Executive Director & BC Coordinator, Sandra Riches, with subject line stating; ‘BC AdventureSmart Winter 2018-19 Job Posting – YOUR NAME, CITY INTERESTED IN‘ (ie Vancouver or Kelowna) to the email address below by Friday, September 21, 2018, 4:30 p.m.